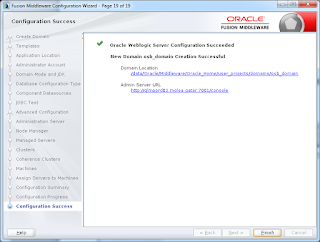 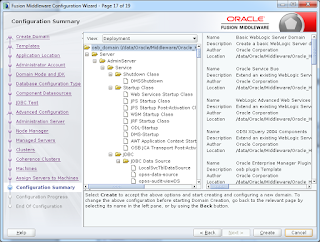 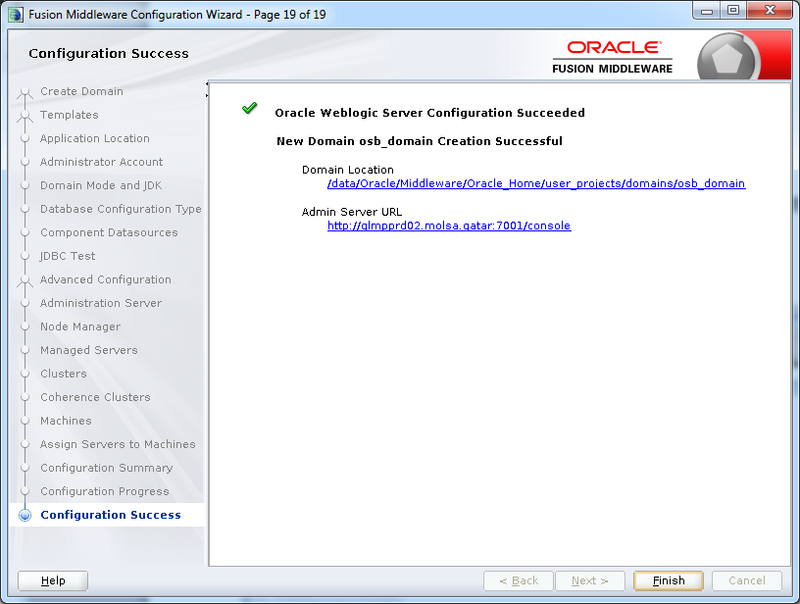 This blog provides instructions of how to configure a OSB domain by using the configuration wizard. 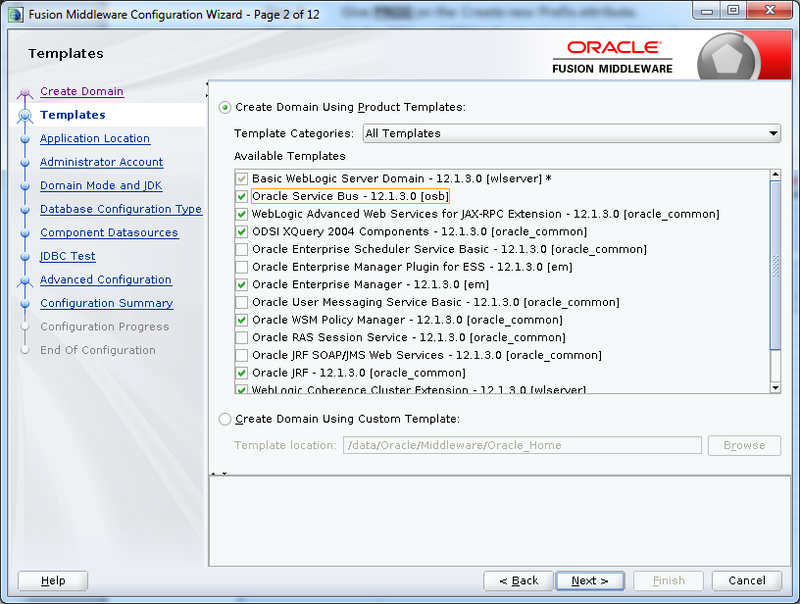 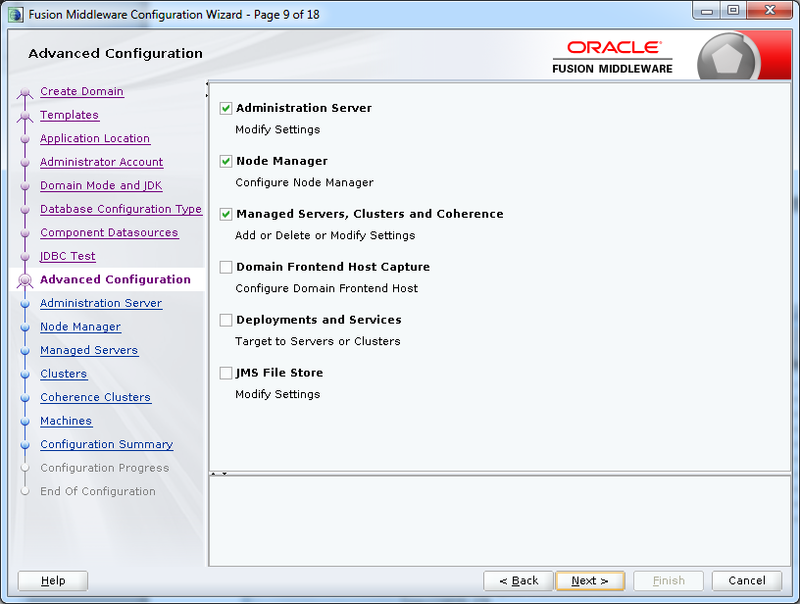 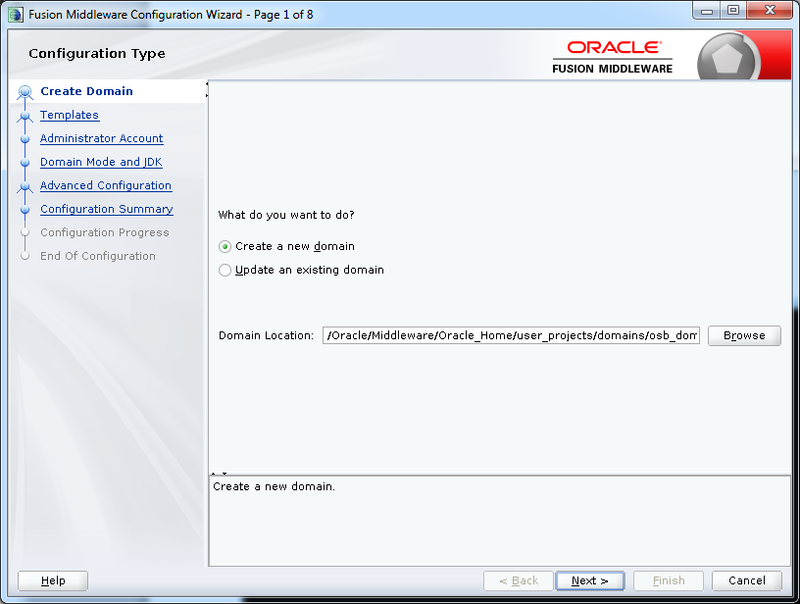 2) On the Configuration Type screen, select Create a new domain. In the Domain Location field, specify your Domain home directory. 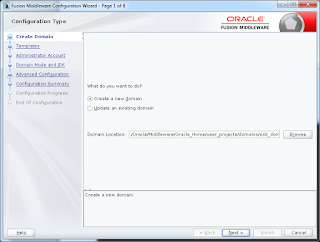 4) On the Application Location screen, select the location in which you want to store your applications associated with your domain. This location is also referred to as the Application home directory. Let the default value as it is and click Next. 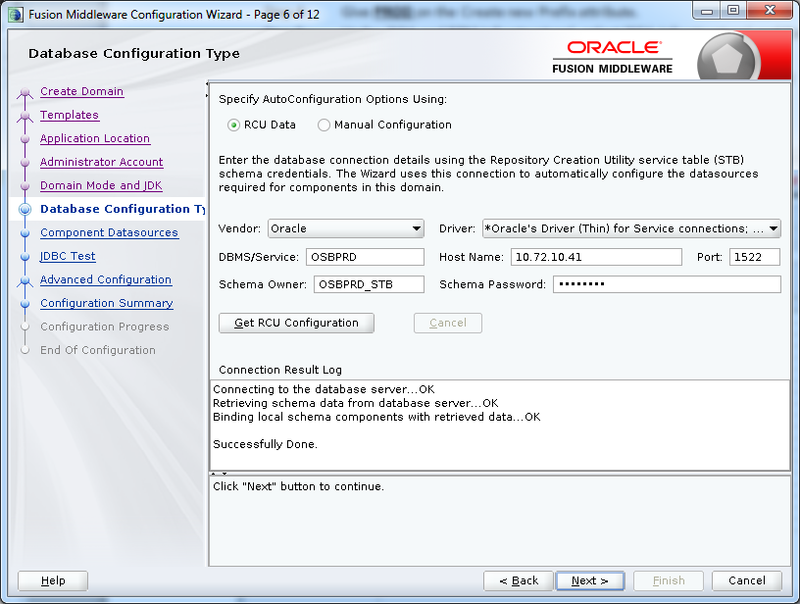 7) Select RCU Data to activate the fields on this screen. 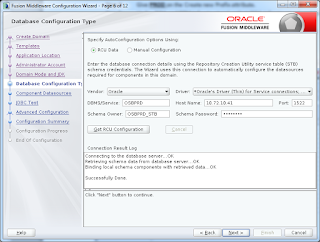 The RCU Data option instructs the Configuration Wizard to connect to the database and Service Table (STB) schema to automatically retrieve schema information for the schemas needed to configure the domain. 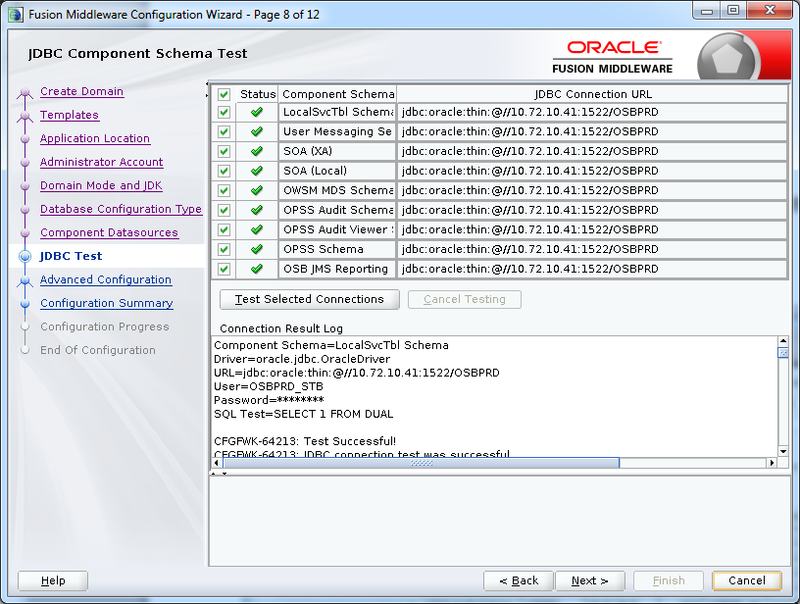 Verify that the values on the JDBC Component Schema screen are correct for all schemas. If you selected RCU Data on the previous screen, the schema table should already be populated appropriately. 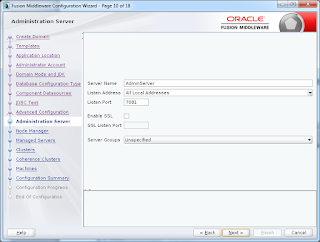 Administration Server: This is required to properly configure the listen address of the Administration Server. Node Manager:This is required to configure Node Manager. 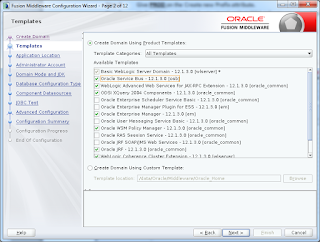 This is required to configure the Oracle Service Bus Managed Server. 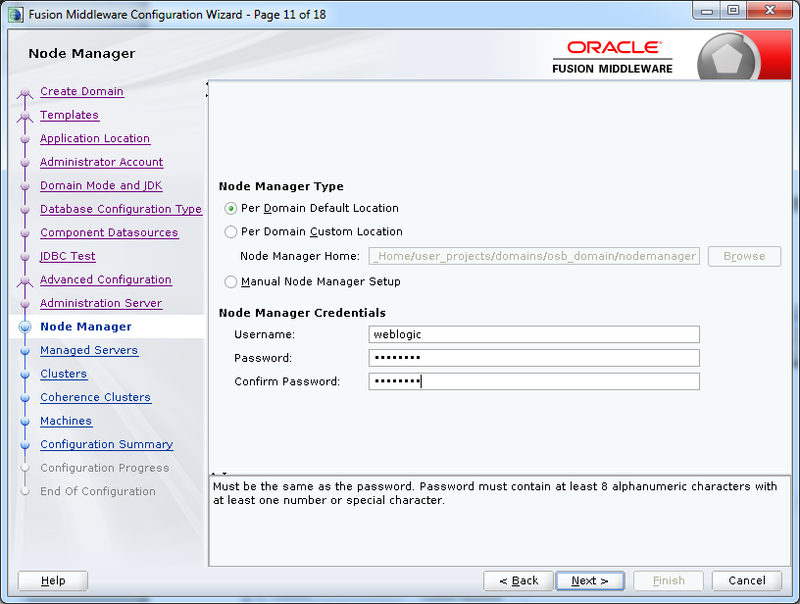 The Node Manager screen can be used to select the type of Node Manager you want to configure, along with the Node Manager credentials. Select Per Domain Default Location as the Node Manager type, then specify the Node Manager credentials. 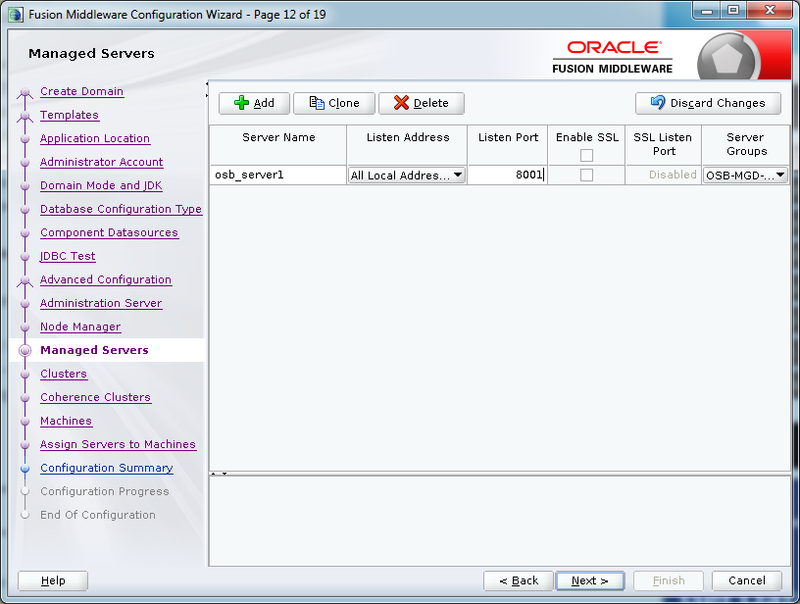 In the Listen Address drop-down list, select All Local Addresses. 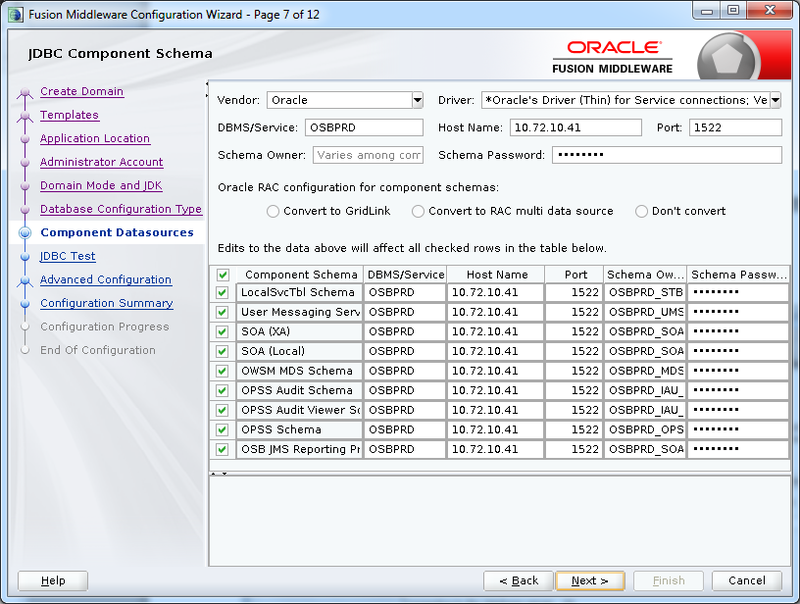 Verify that OSB-MGD-SVRS-COMBINED is selected in the Server Group. 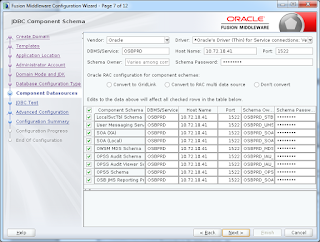 If you want to have OWSMPM in a different server from the OSB server, select OSB-MGD-SVRS-ONLY. This targets only OSB but not OWSMPM to the server. Use the Machines screen to create a new machine in the domain. 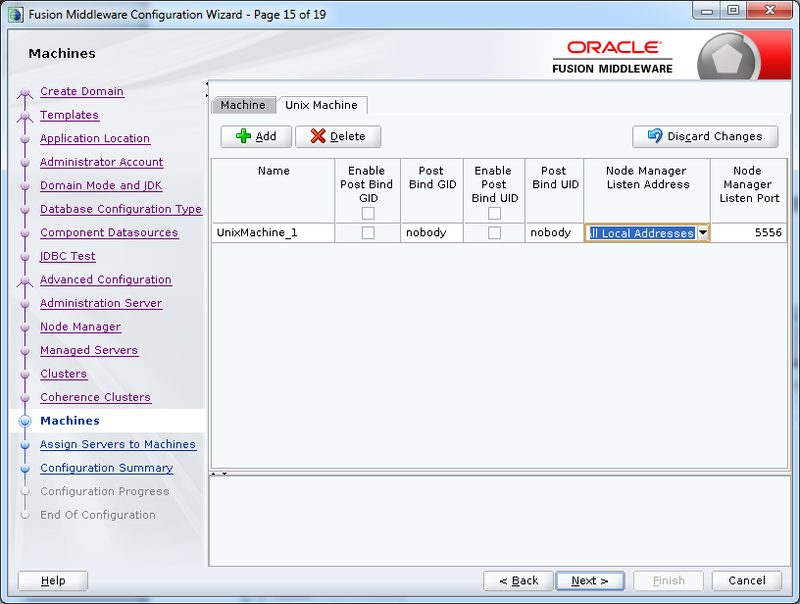 A machine is required in order for the Node Manager to be able to start and stop the servers. 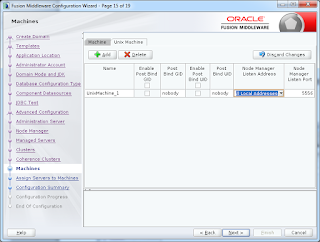 Click Add to create a new machine. Specify UnixMachine_1 in the Name field. In the Node Manager Listen Address field, select All Local Address. 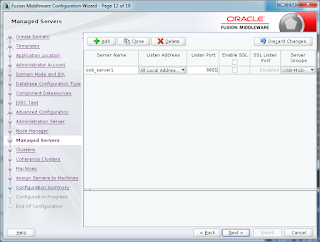 The port number 5556, shown in this example. Replace this port number with your own port number as needed. 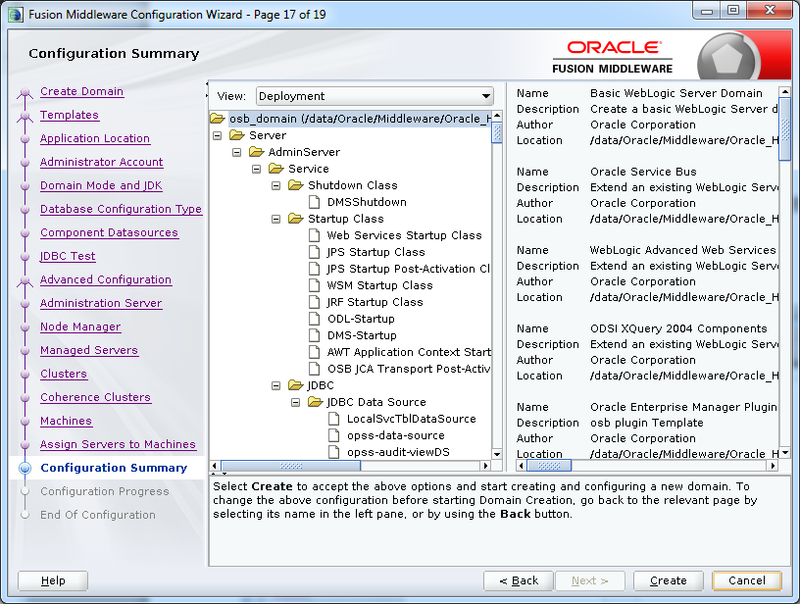 Follow the oracle blog to know more.. Try WLST command to create domain using command prompt.